New media, technology, the internet: these things have been vital to the expansion of Beyond Buckskin. 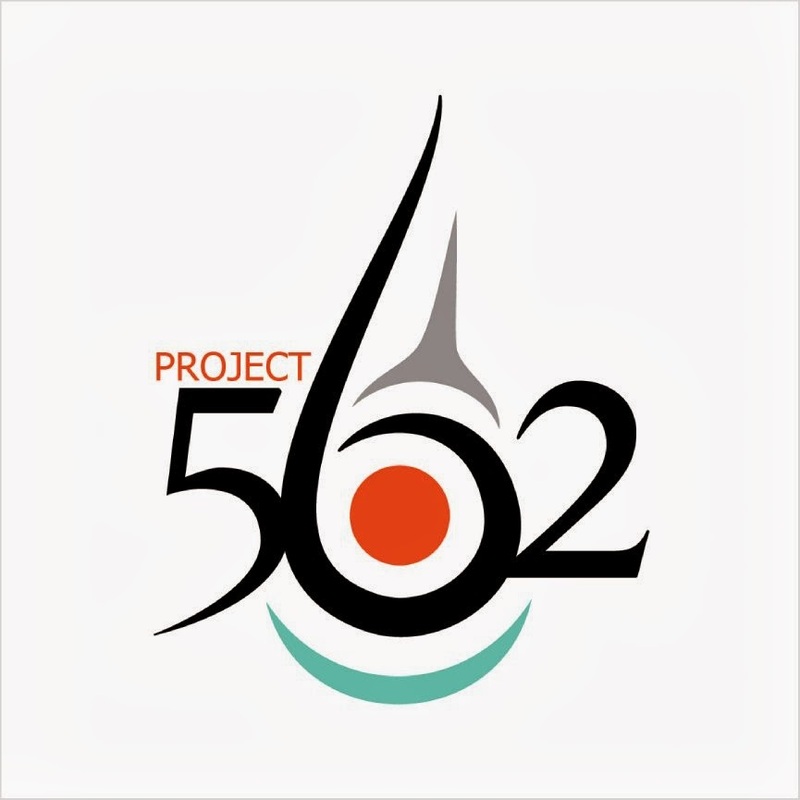 This project began in 2005 as a Master's Thesis to investigate the work of Native fashion. 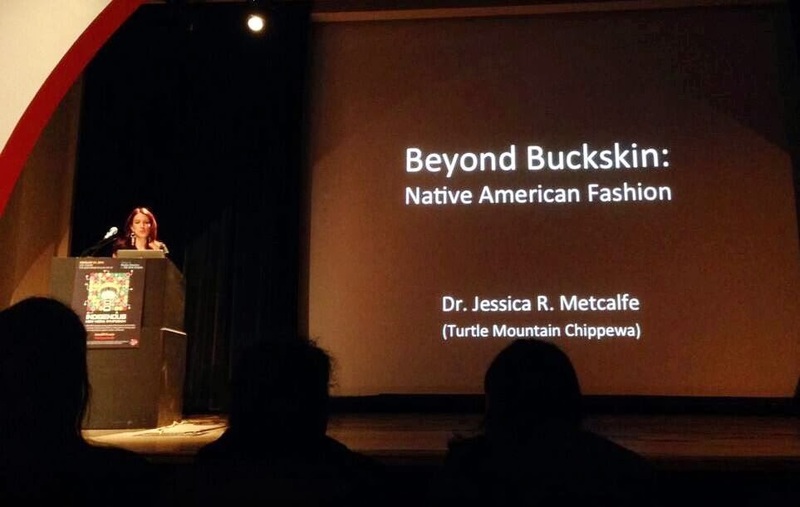 It led to my follow-up Doctoral Dissertation on Native American designers of high fashion. Through my research, I interviewed many individuals, and they told me stories, shared their experiences, both positive and negative, about creating clothing and art for the body. Our artists are vital to who we are as a people. Their stories are valuable and we can learn much about how to use creative energy to move forward while simultaneously looking to the past and keeping traditional values and practices alive today. But my research was reaching only a few individuals- my professors and a few of my colleagues. This bothered me because there was an unspoken agreement between myself and the designers and an understanding that I was going to do something with the information that they were giving me. So I began wondering, how can I reach a broader audience? In 2009, blogs were taking off as a way for anyone to create their own website, to publish their words and share their experiences or expertise, and with a click of a button, a blogger could reach hundreds, or even thousands of people. I decided to give it a try. I had no idea what I was doing, but I learned as I went along. I am still learning. In the past four and a half years, Beyond Buckskin has expanded more than I could ever imagine. At first, the growth was slow, hindered by my other priorities (to finish graduate school, then to pursue academia as a career), but in 2011 I decided to give Beyond Buckskin a Facebook page. I decided to devote more time to it, and to create more content. 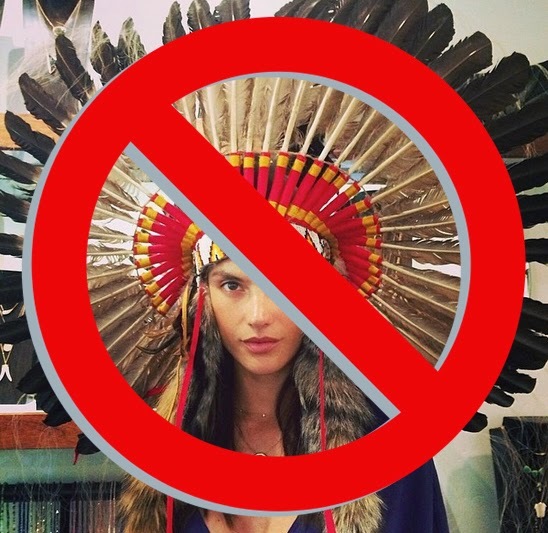 I published designer profiles, posts about historical adornment, and critiques of Native appropriations in fashion. 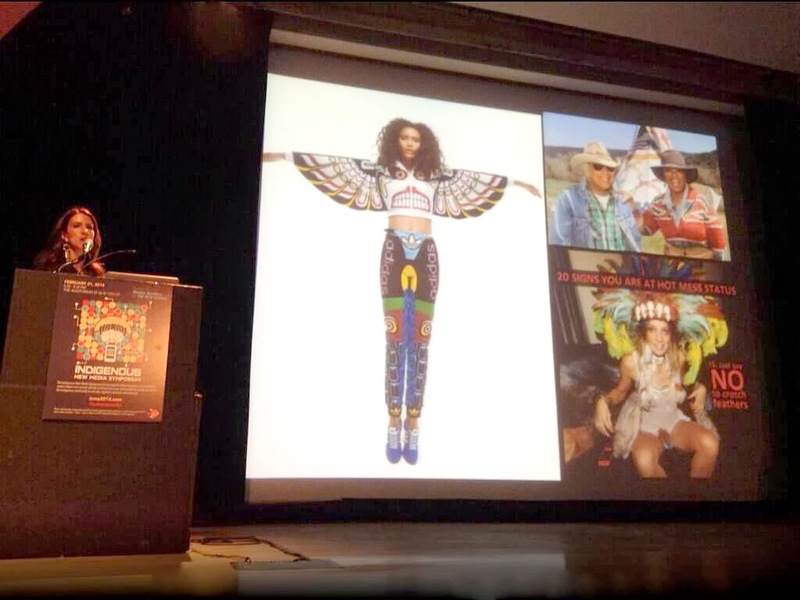 Through this work, I encouraged readers to 'buy Native,' or to purchase authentic Native American fashion instead of buying Native 'knock-offs' mass-produced by companies like Urban Outfitters. But where could people buy these items? Often they would have to locate the individual websites of various designers- and these sites were far and few between, or travel to a major Indian Art Market event, or seek out the designer via email or on Facebook. An easier method needed to be created. 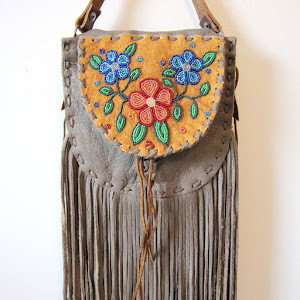 So I launched the Beyond Buckskin Boutique. Here, we sell items that range from affordable streetwer to more expensive specialty items. The designs come from a variety of backgrounds and locations. We have customers in the US, Canada, Australia, the UK, Japan, and other countries throughout the world. 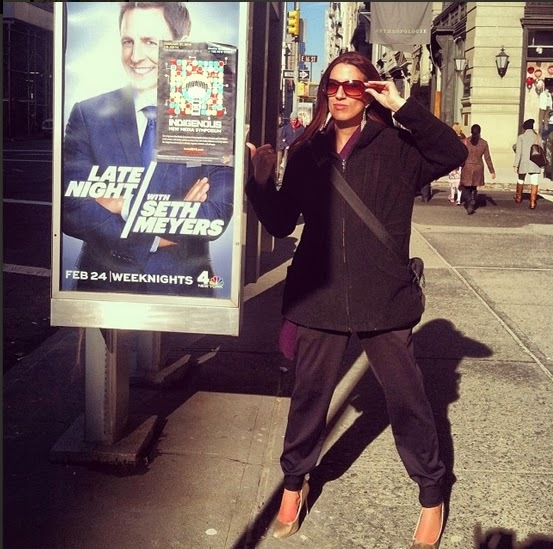 Beyond Buckskin has been featured on CNN, ABC, NBC, CTV, various newspapers, magazines, and even in Elle Canada. We've hosted events in California, New Mexico, Arizona, Las Vegas, and Michigan. All of this wouldn't have been possible without new media, or without that initial desire to reach a broader audience by launching a blog. The creativity of the designers provides me with endless content, and the customers and readers provide the need and the support. And I can do all of this from the Turtle Mountains in rural North Dakota. 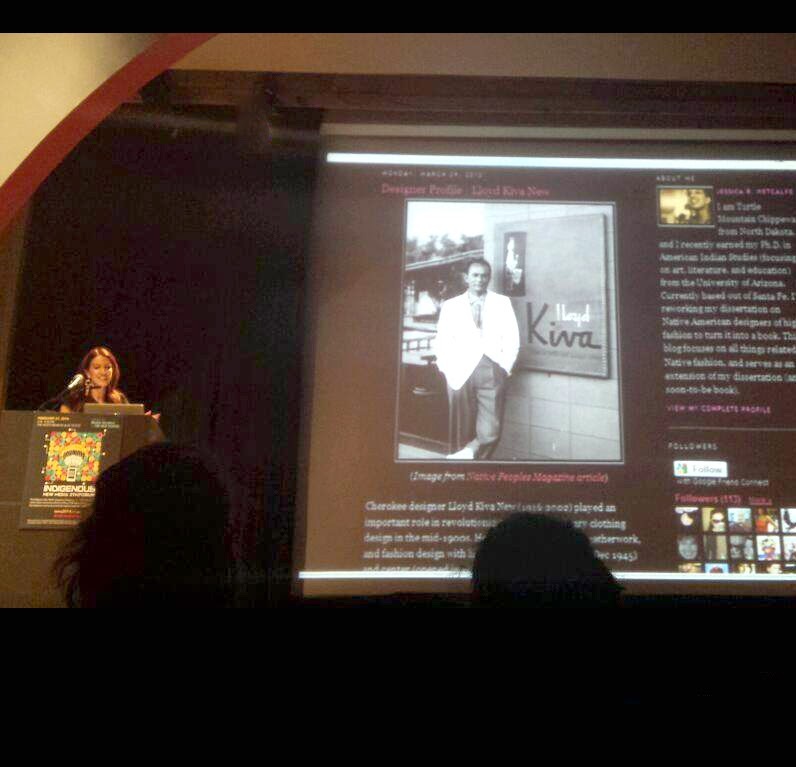 I recently shared my experiences of the power of new media at a symposium hosted by The New School in Manhattan. By launching a blog, then an online store, then using social media sites to promote Beyond Buckskin, I've been able to work with other like-minded individuals to push Native fashion forward with great success. We have much more we want to achieve, but we are on an exciting path. It's been important for me to be able to easily update my websites with not only content, but also to update the technology behind them and to use the latest tools. I'm constantly learning, and I am ok with this fact. I don't need to know everything, I just need the willingness to continue to grow, adapt, and learn so that Beyond Buckskin continues to be relevant to our readers, customers, and our designers. I get constant feedback from all three groups with ways to improve and expand. It can get overwhelming, but it is important, and even with tiny steps made every week, much can be accomplished in just one year. Beyond Buckskin happily fills a void, but there's so much more that is needed when it comes to Indigenous cultures, and contemporary issues. From our time in New York for this symposium, we learned and talked about what is needed and where we need to go next. These questions are not easily answered, especially when we are talking about new media, which is a field that is constantly changing. At the symposium, I was honored to share the stage with such great individuals as Adrienne Keene, Jarrett Martineau, Chase Iron Eyes and Clayton Thomas-Muller, and we each shared our experiences using new media to mobilize communities, to educate, and to reach broader audiences. 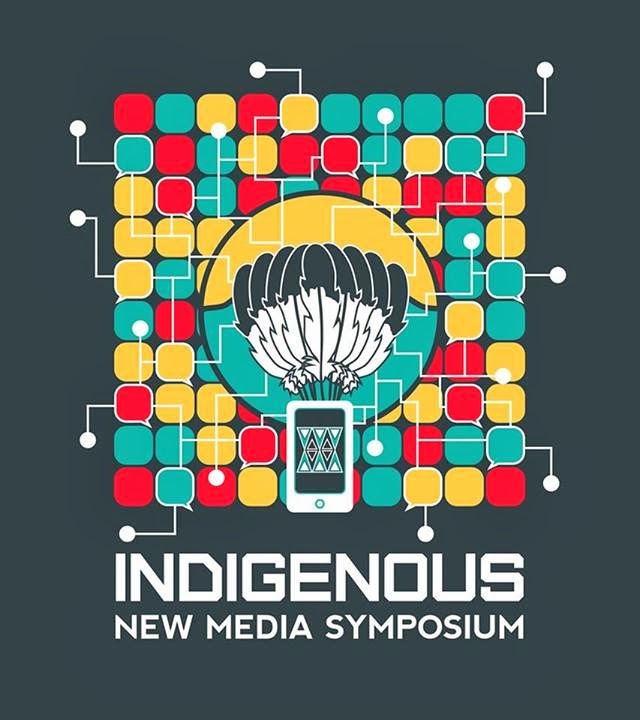 There are so many Indigenous blogger activists who are doing amazing things, and I hope there are follow-up symposium events on this topic of Indigenous New Media. In our workshop event, which was scheduled for the day following the panel discussion, a few things became clear to me. First, Indigenous voices are diverse. We need to acknowledge, support, and celebrate our diversity. Because we are so diverse and so underrepresented in every field, we need more people to step up and contribute. Don't wait for someone else to do it. In traditional teachings, we are taught that everyone in the community has something valuable to contribute, something that is necessary for the community. Because of these reasons, we must always acknowledge that we have an obligation to the communities we serve. The second thing that I took away from our workshop was that we, as Indigenous people, are still dealing with massive amounts of trauma. It's hard to explain, but we carry the trauma experienced by our cousins, our mothers, fathers, grandparents, and our ancestors with us everywhere we go. We have the immense task of processing that trauma- acknowledging it, and transforming it into forms of reclamation, empowerment, and positivity. It's a daunting task, and each one of us has to go through it, we hear the stories over and over again and we can relate. We continue to lose brothers and sisters. The realities are dark, and so we have been trained to fight small battles for tiny victories without thinking about the big picture. We will spend an hour debating how to start or what we should talk about instead of working together. We will talk at each other instead of talking with each other. We have been so deprived of safe spaces to voice our opinions that we don't know what it looks like to be in a room full of allies. The trauma is real and alive; that delicate stuff seeps out of memories and into our voices and the room fills with so much tension, fear, sadness, anger, confusion and darkness that a single prayer cannot combat it. We have much to do. We are the bridge between those powerful leaders of the past, and the leaders yet to be born. We are in charge of the maintenance of that bridge- repairing it, strengthening it. We don't get the luxury of just trampling over it. We have much to do. We need allies, we need strength, we need prayer, we need direction, we need purpose, we need obligation. Our communities, our people, need us. Please click here to watch the full symposium speaker presentations online. You can also read other reviews of the symposium here, here, and here. You can keep the discussion going by hashtagging #indnewmedia on Twitter, Instagram, Tumblr, or Facebook. 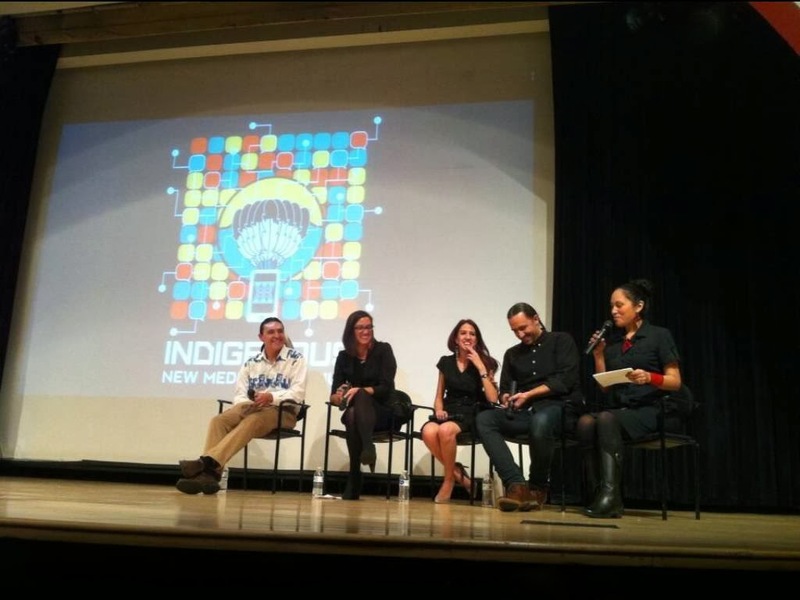 Migwetch to the organizers, sponsors, participants and panelists for an extraordinary experience in New York.